On this private tour, you can enjoy the crystal waters and white sandy beaches of Lan Ha Bay, which makes up part of the sublime Cat Ba National Park marine ecosystem. 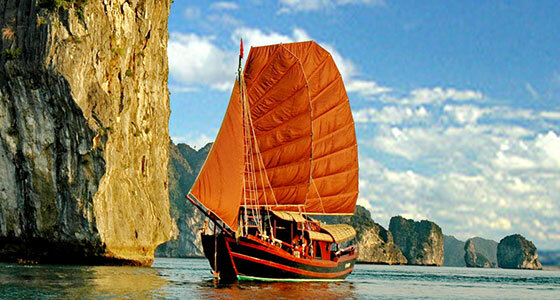 You will the tour with a cruise on Lan Ha Bay, exploring caves and islands, complete with an overnight on board. The second night is spent in a tranquil resort on Nam Cat Island. You will leave Hanoi at 07:30 after being collected from your hotel. 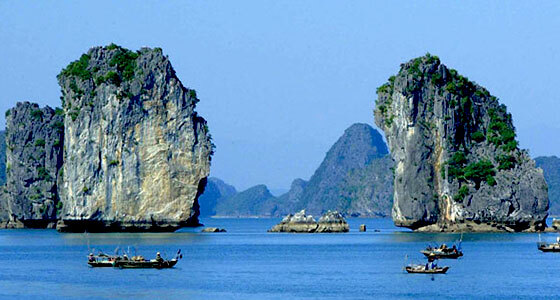 From Hanoi, you will drive to Haiphong and then take a high-speed boat from Haiphong to Cat Ba Island. You will be met by your guide at our office in Cat Ba Town who will take you to a local restaurant for lunch. In the afternoon, we will drive motorbikes along the coast to see the beautiful scenery of the island, driving through the wild tracks of the National Park to visit Cannon Fortress and Hospital Cave, both of which were significate sites in the Vietnam America War. As well as offering you an insight into the history of Vietnam, these spots also afford fantastic views of the island and surrounding bays. You will then head back to Cat Ba town to visit Cat Ba Market where you can learn more about the local life and sample the local cuisine. You will have dinner and stay overnight in a hotel in Cat Ba. 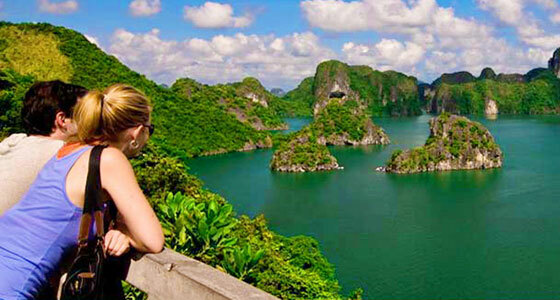 After breakfast, together with other travellers, you will take a boat trip around the beautiful Lan Ha bay. You can sit back and enjoy this stunning karst archipelago by cruising and kayaking into hidden lagoons, through archways and floating villages. This day of soaking up the sun and swimming in the beautiful waters will leave you feeling relaxed, full of wonder and ready for a delicious dinner and overnight stay on Nam Cat Island. You will have free time in the morning to discover Nam Cat I Island until our boat comes to take you back to Cat Ba Island. You will be able to make the most every second left in Lan Ha, enjoying the scenery whilst heading towards a fishing village. Back in Cat Ba town, you will have lunch at a local restaurant. At 14:30 you will make the journey back to Hanoi where the tour will end. We take you to the parts others can't reach!